The fiftieth release on our label - time flies so fast! Many things have happened for all this time, lots of artists have appeared on Loco Records - those famous ones and those making their debut. Many remixes and tracks have been made by now. A lot of producers cooperating with our label have resulted in positive feedback as well as huge support for both Loco Records and its sublabel Loco Records Supreme from the whole lot of people involved with the industry. It's time to make a summary of everything that has been going on on the labels in terms of music and information. From the entire catalogue which is quite hefty, we've decided to select twenty tracks. Almost all of them occupied Beatport's Deep House Chart for a longer while. Three of them appeared in Beatport's statistics showing Top 10 of all the sales in 2010 making Loco Records the only label with 3 tunes in Top 10 of the best-selling deep house tracks of 2010 at Beatport. Maya Jane Coles, who needs no introduction, is considerd as one of the most talented, up-and-coming artists in the electronic music of 2010. Her music gets support from the most recognizable names in the industry including: Steve Bug, Anja Schneider, Audiofly, or Laurent Garnier. That 23-year-old Brit achieved huge succcess after releasing an EP "What They Say" on Real Tone Records, which reached the number 1 spot of Beatport's Deep House Chart, and stayed at the top for numerous weeks. While collaborating with Loco Records, Maya has delivered a few productions and we've chosen "Bubbler" and " Nowhere" for this release. Gorge - responsible for his 8bit imprint, Gorge made a remix of "Maruda" belonging to Loco Records' owners - Karol XVII & MB Valence. The remix hit the number 1 place on Beatport's Deep House Chart and remained there for over 2 months. Also, it reached the 12th position of the main chart on Beatport. Huxley - also known as Michael Dodman, is an extremely talented artist and producer associated with Deep House. His career started after meeting Nick Curly - the owner of the Cécille label where his first "Sassanids EP" came out. The EP followed more splendid productions that strengthened his position in the business: "The White EP" - released on Tsuba or "Mother Tongue" which spent 5 weeks on the Beatport Deep House Chart and was nominated for Beatport's Top Deep House Of 2010. Huxley's cooperation with Jonny Cade brought an amazing remix of "A Sanguine Lamb". Evren Ulusoy & Sezer Uysal - one of the best-known duos on Loco Records. Their "Singing In The Bathtub" turned out to be the best-selling deep tune on Beatport in the first half of 2010! Soul Minority - a brilliant producer from Barcelona famous for his own productions as well as remixes. His first EP on Pack up and Dance was an instant hit on the new deep house scene, and his "A Soul Thing" arrived at the first position of Beatport's Deep House Chart and remained there for 6 consecutive weeks. Another success came with his "I Remember House" which followed "A Soul Thing" in terms of success. In 2009, Soul Minority turned out "Come Back For More" which was nominated as Best Deep House Track in the Beatport Awards 2010. He's also made 2 remixes for Loco Records - the above-mentioned "Singing In The Bathtub", and "Snatches" for the duo Karol XVII & MB Valence that became one the best-selling deep tunes on Beatport in 2010. Robert Owens - a legend in his lifetime, one of the most recognizable voices in the world, for some considered as the best male vocal. "Gone Too Far" is the fruit of cooperation between Robert and the duo Karol XVII & MB Valence. Milton Jackson - a creator of such huge hits as "The Rhythm Track" or "Ghost In My Machine". One of the remixers of "Gone Too Far" alongside Kevin Yost and the project of Jackspeare. Till Von Sein - a remixer of "Sometimes I Wonder" from Kev Obrien. The release was supported by Hernan Cattaneo, Ben Watt, John Digweed, Nick Warren, Groove Armada, Trentemoller, X-Press 2, Osunlade, Aki Bergen, The Timewriter, Richie Hawtin, Mousse T, Hector Romero, DJ Sneak, Catz n Dogz, Sasse, Brothers' Vibe, Varoslav, Alex Niggemann, Liapin (Afrilounge), Dave DK, Iron Curtis, Chris Woodward, Mark Night, or Pezzner among others. Sasse - also known as Klas Lindblad - the head of Moodmusic Records from Berlin celebrating the fifteenth anniversary of establishment this year. Sasse made a great remix for Polish artists Martin Nowakowski & Marcin Krupa (aka Kesho). Pol_On - a Polish duo releasing tunes on such labels as Get Physical Music, Mothership Records, Freerange Records, Compost Records, Systematic, Plastic City. They prepared an excellent remix of "Dotty Hook Up" by Jonny Cade. Echofusion - a talented Cypriot working as a DJ and producer. He got inspired by the sound of synthesizers and started his adventure with music at the age of 16. Raffi, as this is his real name, has delivered lots of awesome tracks to Loco Records, but it was "Deep Waters" that occupied Beatport's Deep House Chart for a long time. DZeta N' Basile - a pair of producers working with each other for three years now. Writers and producers of their own tracks as well as remixes for many famous artists, e.g. Robert Owens. Their productions belong to the catalogues of such labels as Abkal Music, Plastic City, Realtone, I Records, Raw Cutz, or 1Trax. Submantra - a great producer from Italy whose tracks appeared on many labels: Irma Records, Sony,Clubstar, Starlight, Soulshine, Universe Media. He receives support from the likes of Motorcitysoul, St Germain, Soul Minority, Aki Bergen, Harley & Muscle. Submantra created a hipnotizing recording "Take Me". Karol XVII & MB Valence - "Deep Beginning" - a track initiating everything Loco Records and its owners Karol XVII & MB Valence are all about. Not only did it stay in top 10 of Beatport's Deep House Chart for over 2 months, but also turned out to be the most successful tune at that time. 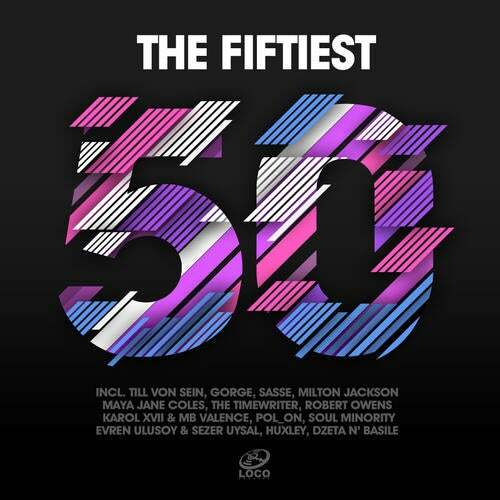 This as well as other sales success series caused the duo Karol XVII & MB Valence to receive nomination for the Beatport Music Awards 2010 as Best Deep House Artist alongside the likes of Gorge, Milton Jackson, Jimpster and Nick Curly. Zeque - a producer identifying himself with deep sounds who started his music career at 14 years old. First, he collaborated with a friend as half of the duo Morett and Meyer. Zeque's solo career speeded up after his "Get The Blue Thru The Red" on Loco Records reached Top 10 Deep House on Beatport. DJ Da & Sam Perez - the duo of Italian producers with successful and well-respected solo careers, who joined forces to produce a uniquely deep and atmospheric sound in their "Identify Yourself With Change". Kirby - a DJ and producer from France, a remixer of "Playin' Jazz" which gained huge success on Beatport reaching number 1 in the Deep House Chart and staying in Top 10 for 7 weeks. Kirby has his tunes released on Tango, Kolour, Nordic Trax, Post War, Getaway, Revival, Chillin Music, Cleanhouse, Shak Digital, Uniform, Elevation, Body Rythm, Booth Trax, Tango, Connected Musik, Undertones, Motion Music, Onethirty, Darkroom Dubs, Amenti, or Lost My Dog. He made a remix for Loco Records, and more precisely for the duo Sachrias & Aslak. The Timewriter - an excellent, cult figure of the deep house scene, a creator of many splendid albums and awesome EP's, a remixer of "The Song" by Karol XVII & MB Valence.